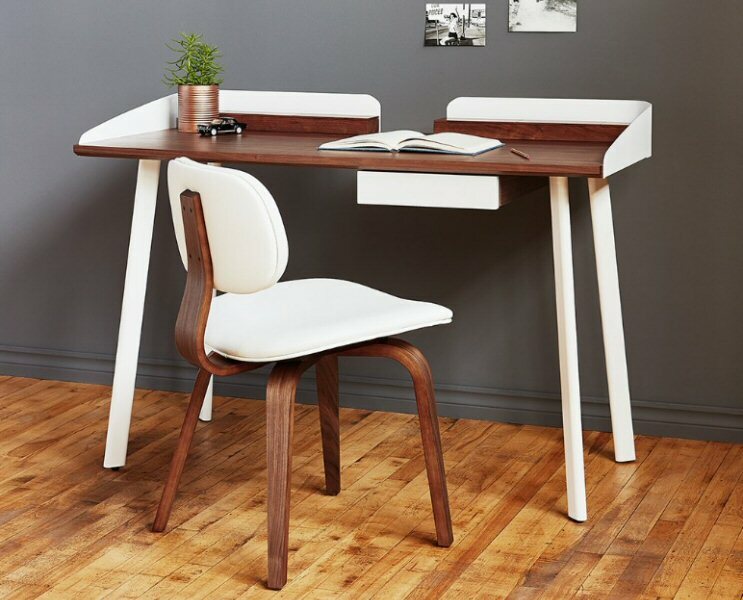 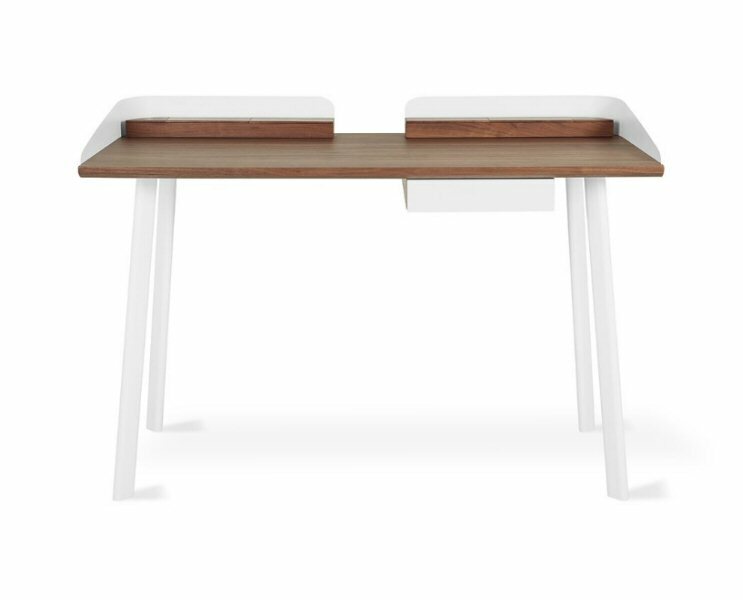 Gus Modern Gander Desk is a compact, minimalist design that offers a stylish and functional spot to get work done and store essential items. 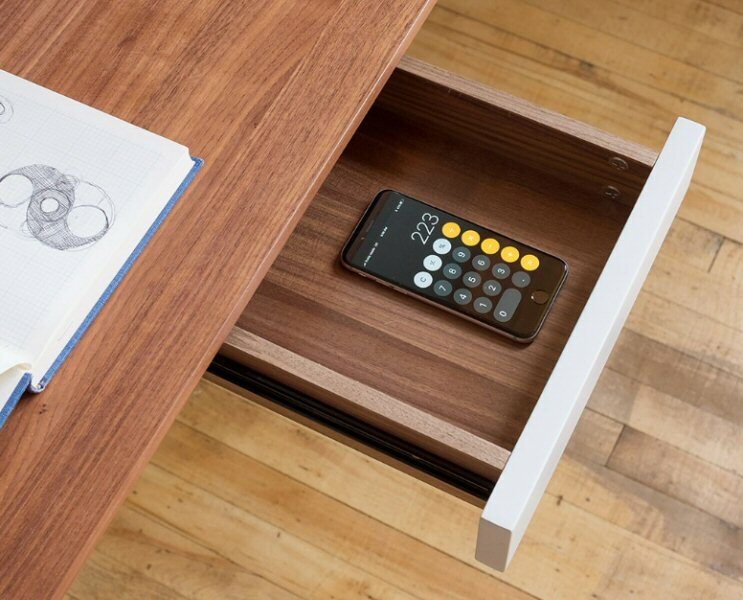 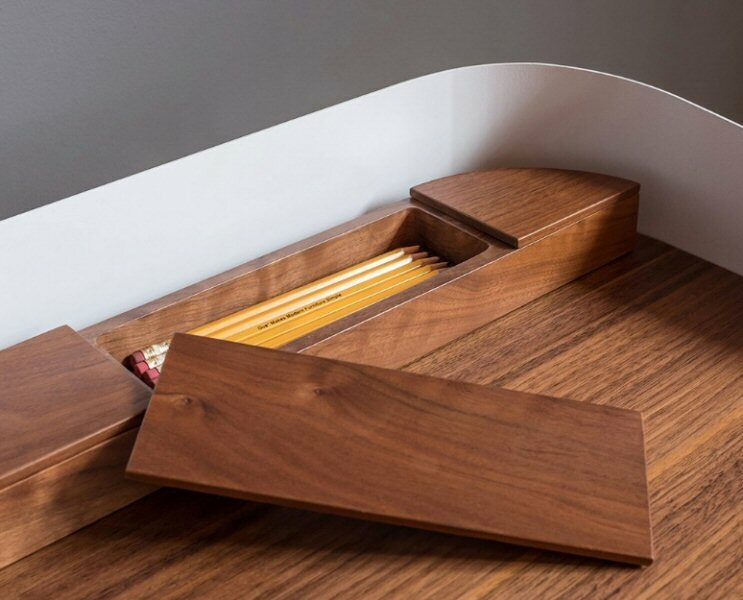 It features magnetized, solid walnut storage compartments to conceal stationary supplies, and a drawer to keep notebooks and clutter out of sight. 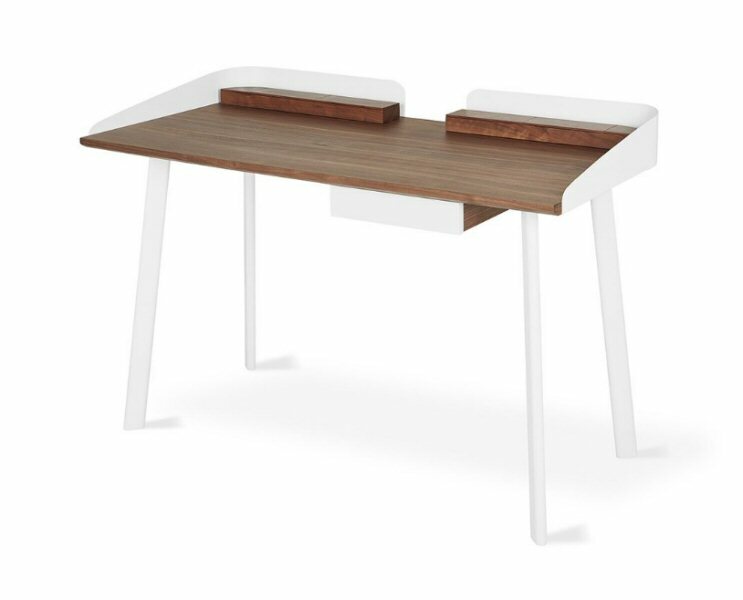 White, powder-coated steel legs and a bent-metal perimeter detail contrast beautifully with the warm woodgrain top.